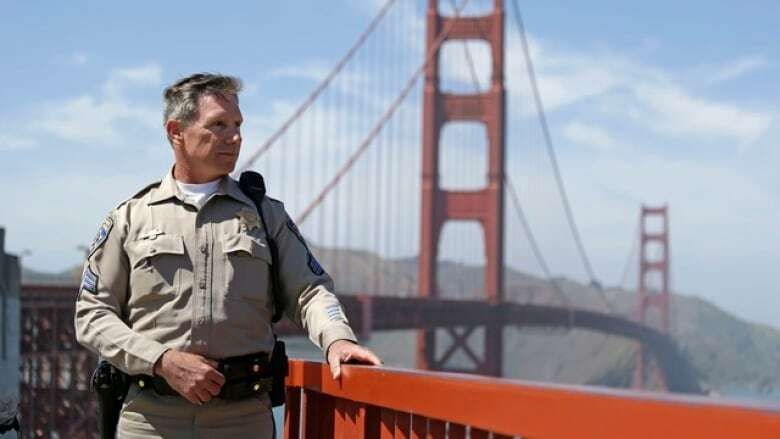 When Kevin Briggs started working as a California Highway Patrol Officer, he didn’t know that his job would include talking to suicidal people on the Golden Gate Bridge every month. Kevin Briggs has been called the "Guardian of the Golden Gate Bridge". He got the nickname while working as a California Highway Patrol officer for more than 23 years. Briggs spent most of that time positioned on the Golden Gate Bridge. But the job turned out to be a lot more than he originally thought he was signing up for. When Briggs started out in 1994, he was trained to handle traffic incidents but had never received training on how to deal with people contemplating suicide. He didn't know at the time how pervasive the issue of suicide on the bridge was. "There were four to six cases of suicidal folks on the bridge each and every month. And I had no idea about this, and I grew up in Marin County, which connects to San Francisco via that Golden Gate Bridge...I had no training to handle these types of situations." Briggs says in his first encounter with a suicidal person he "did about everything wrong that you could". "In the back of my mind I was thinking, 'Am I responsible if she does jump? What happens here? I had no training in this. This is a really bad scene. '...I was afraid, I didn't know how to handle that situation." Briggs says he learned a lot from the encounters that followed. "I think my approach right from the start was wrong. Just to walk up right to those folks and start talking with them. Now what I do is I stand back and I'll just introduce myself. I'll say 'Hi I'm Kevin' or 'I'm Kevin with the Highway Patrol, is it okay, is it alright if I come up and speak with you for a bit?' I want to get their permission and empower them." Since then, Kevin has talked to more than 200 people standing on the edge of the bridge. One of those people is Kevin Berthia. "He was very, very, very angry," says Briggs, "And he wanted nothing to do with me. And he kept yelling at me 'Stay back! Stay back, if you come one step further I'm jumping!' And he was very serious about this. In my mind, if I took one step further then he was gone." The two spoke for more than 90 minutes about the problems Berthia was facing in his life. Briggs says he only spoke for about four or five minutes during the entire conversation. Eventually, Berthia decided to come back over and Briggs helped him over the edge and congratulated him. "I asked him... 'What happened here? What was the turning point in this? What did I do that helped this situation? And what did I do that wasn't so good that hurt this situation?' And all he told me was, 'You listened. You let me speak, and you listened.' And that's all he was looking for and that's all that many, many people are looking for is someone to listen." Briggs says he thinks people contemplating suicide don't want to hear things like, "You'll get over it," and, "It's going to get better". "What I believe, personally, they want to hear is, 'Yeah, it is tough'." "I try to explain to them, wow that sounds really tough. And normalize their situation. That's a real big one, is to try to normalize their situation. You know, 'Wow, what you're going through is a whole lot of stuff and that'd be tough on anybody. I think anyone going through all that might be thinking about suicide'. "It takes a lot of courage to be over that rail. It takes a lot of courage. But it also takes a lot of courage to come back and face the reality that is with them right now. But there is a brighter side to this, and it can happen, and it might take a long time and a lot of work. But life is beautiful and, you know, it is worth living." Briggs says that although he can't fix any of the issues that people are dealing with, it is important to listen and to try to understand what they are going through. Briggs retired from the California Highway Patrol in 2013, and he now works in suicide prevention. This story originally aired on February 18, 2018. It appears in the Out in the Open episode "Last Words".